For those of you interested in retreats that will stretch both body and mind, here is a company we can highly recommend to you. Their retreats take place in a beautiful and secluded environment, with very comfortable accommodation, great food and first class tuition. 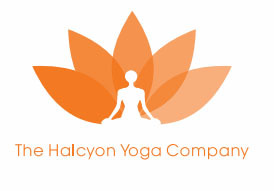 The Halcyon Yoga Company offers: sports massage, pilates, yoga and pre and postnatal yoga. These are offered one-to-one, in groups, workshops and they have expanded their retreat programme for those interested in something more intensive. To find out more, please click here to download there brochure. 0121 355 1325 or 07712 338379. Alternatively, email: sportsclinic140@yahoo.co.uk. To find out more about Elizabeth Lee, the founder of the Halcyon Yoga Company, please click here.